3 Why Do You Need To Install A Car Alarm? 4 How Does a Car Alarm Work? 4.1 What Triggers A Car Alarm To Go Off? 4.2 Does a Car Alarm Go Off If a Window Breaks? Many people do not realize it but vehicle thefts have increased all over America and elsewhere in the work an average of over 4% a year. That may not seem like much but when you are talking millions and millions of cars it adds up to a lot of vehicles being stolen each year. This is not just an urban trend either, It’s happening in the suburbs and rural areas too. That’s why you need to protect your vehicles with many layers of security on them. This includes installing the best car alarm possible if you don’t have one already. We are going to show you how to find the right car alarm for your needs and give you some other information about these great anti-theft devices. We will even save you some legwork in your buying decisions by doing some car alarm reviews on the best models in the marketplace. Here is a car alarm from Omega that has a lot to offer those that use it. It’s not only an alarm but it also includes a nice remote controlled keyless entry function too. You also get break-in protection thanks to its dual zone shock protection. It will alert you any time a window has been broken. The handy features don’t stop there either. 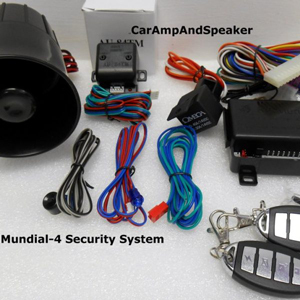 This car alarm system also comes with a transmitter activated anti-carjack locator system. Minutes count if your car gets stolen and this will help you find it quickly. This car alarm also comes with two remote controls and a multi-tone electric siren. 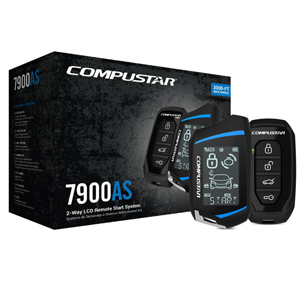 Compustar has done a very nice job putting this car alarm package together. It offers those who install it a wide variety of security and other useful functions. It all starts with its car alarm system that includes a remote starting capability. Other security features in the package include a dual stage shock sensor and a loud electronic siren. One of the best features you get with this car alarm package is its two-way remote. It acknowledges your commands both visually and audibly. The remote has a very generous 3000 feet working range too. 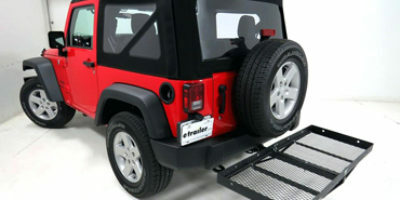 There is also a backup 1-way remote and optional door, hood, and trunk impact sensors can be added. Audiovox is one of the more popular aftermarket car alarm manufacturers and products like this one are the reason why. It’s a very well-designed car alarm that also includes a remote starter and a keyless entry system too. Additional alarm features include a dual stage shock sensor and a high-decibel electronic siren. 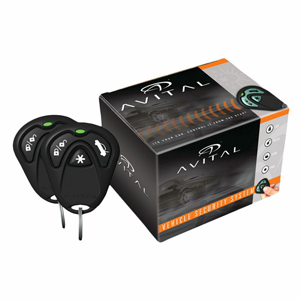 This kit also includes a starter disable switch that you can activate every time you leave your vehicle. It also features SuperCode remote encryption as an added security measure. There are also 2 – five button remote transmitters included in the package Most of the wiring that you will need for the installation of this car alarm comes right in the package. 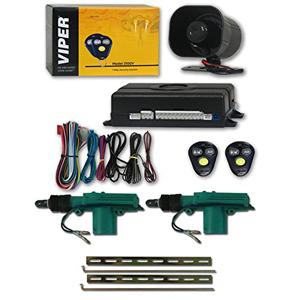 Here is a nice little auto alarm system from Viper. They are a company that’s known for doing the little things right when it comes to car alarms. 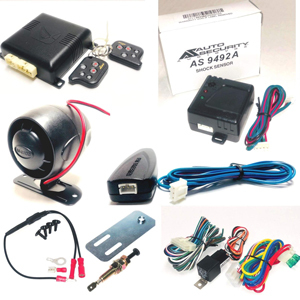 This company also has some of the most complete installation kits you will find in the aftermarket car alarm sector. 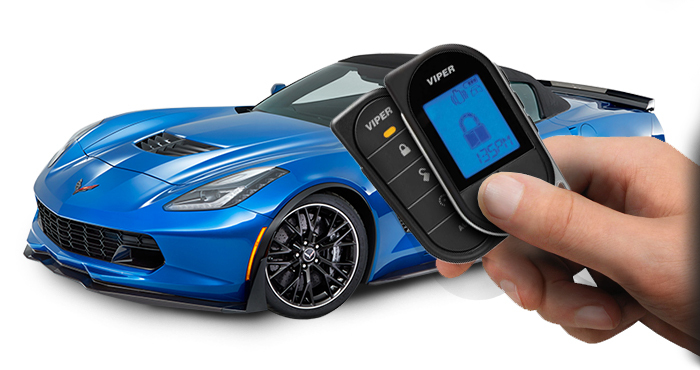 The Viper3100V includes not only a good alarm system but it also comes with a convenient keyless entry package. There are other nice security features you get with this car alarm too. These include such things as dual stage shock sensor and a good and loud 6-tone electric siren. This car alarm unit also comes two 3-button remote transmitters and a parking light flash option. This is another quality car alarm product from Audiovox. It has many nice security features that are included right with it. That not only includes the car alarm itself but there are also shock sensors and a loud six-tone siren. The shock sensor itself can even be set to a less sensitive city mode. One of its best features is its three-channel receiver. This receiver will work with up to 4 remote transmitters. Two all-metal remote control transmitters are included right in the package. The panic button on these transmitters will work in every mode too. This is the second Viper car alarm on our list and like the first one it’s nicely designed. It is a 1-way car alarm that has several bonus features with it too. These include a convenient keyless door entry system. It comes with a decent 3-channel receiver too. There are some additional security items that come in this package too. This includes a DoubleGuard shock sensor that chirps when the car is bumped. That chirping is made possible by a popular Revenger six-tone, Soft-chirp siren. The unit also comes with two 3-button remote transmitters and these do activate a panic response when that button is activated. Her is what the majority of us here feel are the key characteristics to think about when shopping for a new car alarm. If you have read many of our reviews here at Caroutfitter, you will notice we do these car alarm reviews in the same format we use for our car mat reviews. The receiver is the heart and soul of any car alarm setup. All of the control functions pass through it. Each receiver has a certain amount of channels in it. The more channels that a receiver has the more external functions it can perform. These include such things as locking and unlocking doors, trunk opening, remote starting, and other options. The receiver also controls the remote transmitters for your car alarm. Most of them control anywhere from one to four transmitters. The more transmitters a receiver accepts the less passing around of transmitters you will have to do among your family that uses the same car. These are the part of any car alarm system that senses unusual movement of your vehicle. You may have heard a distinct chirp from your alarm go off even if you are only slightly bumped in a parking lot. This chirp was generated by the shock sensors detecting the bump when the other vehicle made contact with yours. Most shock sensors are sensitive enough that they can even detect the movement caused by your auto glass breaking. If your car has ever been taken you will definitely be thankful if you had one of these anti-theft devices onboard your vehicle. They will help the police locate where the thief took your car too. These are a GPS type location device. It’s important to find your vehicle as quickly as possible after it’s stolen because within two hours a chop shop can have your entire vehicle taken apart. These are another nice security device that can cause some problems when a would-be thief tries to steal your car. They are a switch that is hidden that you activate when you leave your vehicle. Their function is to cut off the electrical connection from your ignition to your starter. If a car thief does not know this switch is in your vehicle, it will give that thief fits as to why they can’t jump your ignition and start your car. Your new car alarm would not do you much good if it did not have an audio component to it. That’s where a nice electronic siren with multiple tones comes into play. These tones are not only used when an intrusion into your vehicle is detected, but they also send out chirps to indicate a remote control function has been completed. So a nice loud electric siren that will make a would-be thief’s hair stand up on his back is a necessity with any car alarm system that you purchase. This is probably not important to everyone when searching for an auto alarm but it does make a difference to some. A 1-way remote transmitter is one that only gives off an audio tone when a button is pushed to activate a command. This audio tone is usually a short chirp. A 2-way remote transmitter gives off both an audio and visual signal when a command button is pushed. The visual signal is done by means of a parking light flash. You also need to be aware of how many remote transmitters come with the car alarm system you are thinking about buying. That’s because some only come with one and that pretty inconvenient. These devices are also not cheap to have a locksmith make because they require programming. So try and get a new car alarm that has as many remote transmitters as possible that come with it. None of these are necessary to keep your car safer and more theft proof but they sure are nice to have. Unless you are very good at doing wiring and relays on a car’s electric system you are better off not installing your new car alarm yourself. If you are not experienced at it you just might have a few grey hairs by the time it’s finished. They can also be really time-consuming to install if you don’t know what you are doing. If you do decide to do the installation yourself make sure you follow the manufacturer’s directions to a ‘T’. You will also have to round up some relays and other additional parts before you start the alarm installation. Read some reviews to find out how difficult other DIY alarm installers thought the model you are thinking about buying was to install. Most car alarms are not very expensive items but you still want to get some type of warranty with them. Find a warranty that covers all of the different parts of the alarm system for as long a period of time as possible. This part of the article can be a little misleading. That’s because all car alarms basically work the same way. The differences between them come in the way the alarms are activated and how they communicate with the remote transmitter. We will explain this in a little more detail. There are two ways that a vehicle alarm system can be activated. One of them is by passive means. This type of alarm activation takes place automatically after the ignition is turned off and the doors of the car have been opened and then shut again. There is nothing else required of the driver to activate the system. The other way is by active means. For this type of car alarm activation to take place, the driver is the one who initiates it. They do this by pressing the alarm activation button on their remote transmitter. If the driver does not do this the alarm is not activated. There are also two different ways that a car alarm system tells the operator that a command that was sent from the remote transmitter to the alarm receiver was initiated. In a one-way paging system, this is done simply by audible means. When the person with the remote initiates a command, that command is then acknowledged by a series of chirps from the horn. For a two-way paging system, it’s slightly more advanced. The command is acknowledged by both a series of chirps and an indicator light on the remote transmitter itself. Some two-way systems are sophisticated enough that they actually have digital control readout on the remote transmitter itself. Some of this can even be done with cellphone apps these days. Why Do You Need To Install A Car Alarm? There are many good reasons to install a car alarm and they are not always the same for everyone. Here are some of those. 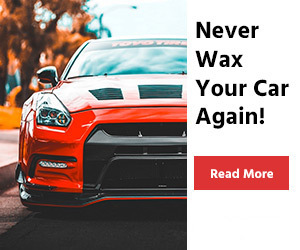 They help keep your car from being stolen. Their panic mode can help alert those nearby that you are in immediate danger. Car alarms often lower insurance premiums. They help give you peace of mind that the car you love is somewhat safer. Vehicle alarms can help you find your car easier in a super-crowded parking lot where you don’t quite remember where you parked. Auto alarms can have many convenience features built into them also. These include keyless entry, door locking and unlocking, trunk opening and more. Although it has many different parts, a car alarm is not as complicated a piece of equipment as it may seem. Think of it as an octopus where the head is the receiver unit of the auto alarm and the legs are the different features it controls. The receiver unit not only controls the siren, flashing lights and horn, it also can control other bonus features such as remote starters, keyless entry, and door lock actuators. The receiver also initiates the commands that the remote transmitters send too it. What Triggers A Car Alarm To Go Off? There are three main ways that car alarms are triggered. The most common way is by vibrations or sudden shocks that are detected by what is appropriately called a shock sensor. These shock sensors are a key part of any car alarm system. That’s because if they don’t work properly your car alarm is virtually useless. A single stage shock sensor only detects strong vibrations and shocks. These would be such things as a car door being forced open or the impact of a hammer against your vehicles glass. Basically, they detect any heavy impact to your car. The only response to these detections is the full activation of the siren and lights on your car. As the name suggests, these types of shock sensors have two different sensitivity levels. They detect harsh vibrations and impacts just like the single-stage shock sensors do and they react the same way by triggering a full alarm. They differ from single stage shock sensors in they also have a lighter vibration or proximity detection feature too. When this function is activated it does not trigger a full-blown alarm event. It causes your auto alarm system to give off a quick warning chirp. That chirp is meant to let anyone with bad intentions know that you have an active alarm system on your vehicle. The second most common way that a car alarm goes off is user error. This can be such things as trying to open your car door before you have deactivated your alarm or maybe you and your friends sit on your car while tailgating. A slight bump in a parking lot can also cause your car alarm to go off and hitting the panic button on your remote transmitter will also trigger a full alarm event. Certain malfunctions can also cause your car alarm to go off. This can be embarrassing if you are sitting in a nearby classroom or meeting friends for lunch when it happens. Although you may think that ghosts or goblins are in the area, it’s much more likely that a worn electrical part or defective sensor caused the alarm to go off. Does a Car Alarm Go Off If a Window Breaks? You just learned all about car alarm shock sensors. These are made to detect such events as one of your windows breaking. 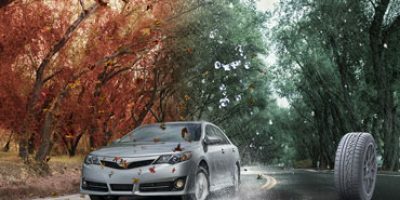 That’s because the impact that happens when one of your car windows is hit with an object causes a big enough vibration that your shock sensors should detect it. Once this happens, the shock sensors will then trigger the alarm system to come on. This will, in turn, cause your car lights to flash and turn the siren on full blast. The only way your alarm will not go off if a window is broken is if it’s malfunctioning. Never park your car in the outer parts of a store parking lot. 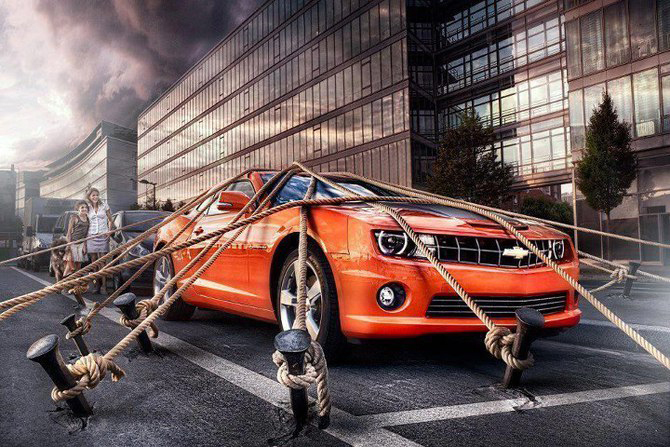 You can never be too careful or have too many layers of security when it comes to keeping your car from getting stolen. Ok so even though we recommend you get your new car alarm professionally installed you want to try doing it yourself. We will help you as much as possible here. These are some rough instructions on how to accomplish installing your new auto alarm. Before you do anything else read the instruction manual that came with your car alarm. Once you are done read it again and again until you have a good idea what you are doing. It’s no secret that car alarms are tricky to install. If you are going to install the alarm control unit and other alarm parts yourself, make sure you allow much time for the job. In order to get your alarm installed on your car, you are going to need some supplies, some tools and maybe some additional parts. Here is a general idea of what the job will take to get done. For a specific list of what you need, once again refer to your car alarm’s owner’s manual. Get these parts ready that should have come in the car alarm packaging. Once you have assembled these things and anything else your manual calls for you are ready to start the vehicle alarm installation process. We will only cover installing the absolutely necessary parts of the car alarm. You can learn how to install such things as keyless entry devices and remote starters at another time. The three main pieces of the car alarm that we will concentrate on first are the siren, control unit/receiver and the shock sensors. The siren will go under the hood and the control unit will go near the ignition wiring harness located inside the vehicle and under the steering wheel. The best place to put the shock sensor is under the panel that covers the driver’s side door. As we stated you will need to mount the control unit as close to the ignition wiring harness as possible. You will also need to mount your ignition kill switch relay here if you are adding a kill switch to the system. (Make sure there are no airbags in the area – this is critical). Plug the supplied wiring harness into the controller. Also at this time run the wire that goes to the siren through an opening in the firewall. Follow the wiring guide in the manual to see what colored ignition wires you need to connect to. Make sure you use t-tap wire connectors to do this and then wrap the connections in electrical tape. The firewall itself is always a good place to mount the siren. Make sure it sits on as flat of a surface as possible. Once mounted connect the wire to it that you ran from the control unit through the firewall. You will have to at least partially remove the door panel in order to solidly install the shock sensor on the inside of the door framing. Next, attach the wiring that goes from the shock sensor back to the control unit. Do this so it runs through the front edge of the door and then under the floor carpeting. That will it will be out of the way and not accidentally pulled out. At this time you will have other connections to make depending on how you want your car alarm configured. This includes such things as door opening sensors, trunk opening sensors. You will have to track down the wiring that goes to them and then splice them together with the wires from your new car alarm system. Remember a car has only 12V electricity. So use your meter to identify which wires have voltage when a switch you are trying to identify is active. Do this before you splice any wires together. Before doing anything else, double check that all of the wiring connections and harness pigtails are connected properly. Make sure there are no wires that that are not hooked up. If there are, make double sure that these wires serve no purpose. After you have double checked that everything is hooked up right it’s now time to test the system. So grab hold of your remote transmitter and start activating the buttons one at a time. Make sure the button you press has the proper function reaction that matches the button you pressed. If there are any problems you will have to double check your wiring harnesses and other wire connections. If not, then you should now have the peace of mind that your vehicle is more protected from theft than ever before. If you have any programmable functions with your new car alarm you will have to refer to your owner’s manual to learn how you do this. Question: I am a little bit handy when it comes to wiring electrical products. Do you think I should install my new car alarm myself and save some money? Answer: We have to be honest here. Unless you really have some experience installing alarm products, we always recommend you get a professional to install your new car alarm for you. They are too important an item to have installed wrong. Question: I am getting ready to purchase a new alarm for my car. 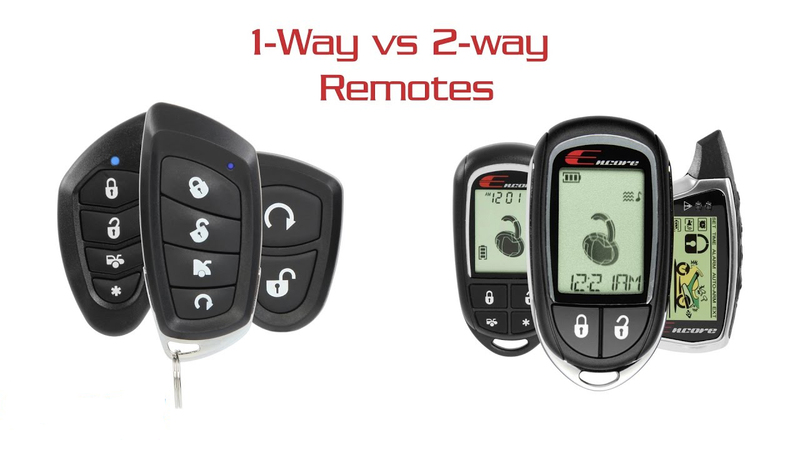 Which is the better purchase; a 1-way or 2-way remote transmitting system? Answer: At this time we would go with a 2-way remote transmission system. The main reason for that is in the near future we expect there to be some significant upgrades to car alarm remote transmitters. These upgrades will only be able to be taken advantage of if you have the 2-way remote transmission system. Question: What is the hardest part of a car alarm DIY installation? Answer: This is an excellent question. 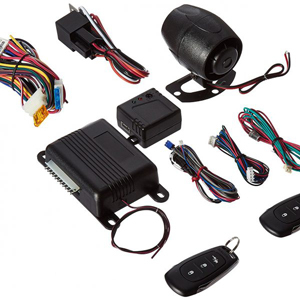 There are two areas of concern we have when it comes to DIY car alarm installations. The first is the wiring. Not only because it’s tricky but many aftermarket car alarms are not complete kits as far as the wiring goes. Another area that can be a real bear when doing a DIY installation is programming your remote controls and synching them with other devices. As we mentioned, car theft has been steadily on the rise over the last few decades. A car alarm can help prevent this. This is especially true if you pair it up with other car security devices such as the best steering wheel lock. You can never have too much protection when it comes to keeping your valuables such as your car safe. Here, in this article, we gave you some good information on how to choose the best car alarm. So use the information in the buying guide to your advantage when shopping for a new alarm for your automobile. The other alarm information will help you in your decision too. Remember also, the alarms that we did car alarm reviews on are more than reliable purchase options that we have done the legwork on for you.